From King Kong to Candyman, the boundary-pushing genre of the horror film has always been a site for provocative explorations of race in American popular culture. In Horror Noire: Blacks in American Horror Films from 1890's to Present, Robin R. Means Coleman traces the history of notable characterizations of blackness in horror cinema, and examines key levels of black participation on screen and behind the camera. She argues that horror offers a representational space for black people to challenge the more negative, or racist, images seen in other media outlets, and to portray greater diversity within the concept of blackness itself. 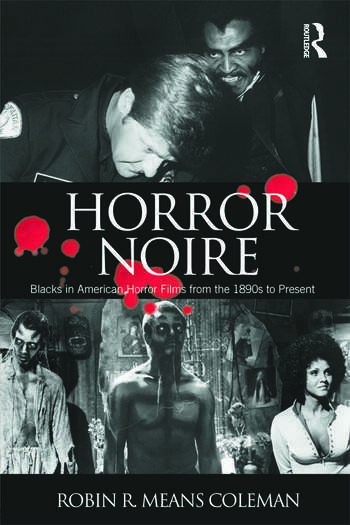 Offering a comprehensive chronological survey of the genre, this book addresses a full range of black horror films, including mainstream Hollywood fare, as well as art-house films, Blaxploitation films, direct-to-DVD films, and the emerging U.S./hip-hop culture-inspired Nigerian "Nollywood" Black horror films. Horror Noire is, thus, essential reading for anyone seeking to understand how fears and anxieties about race and race relations are made manifest, and often challenged, on the silver screen. Robin R. Means Coleman is Associate Professor in the Department of Communication Studies and in the Center for AfroAmerican and African Studies at the University of Michigan. Her previous books include African Americans and the Black Situation Comedy: Situating Racial Humor and the edited collection Say It Loud! African Americans, Media and Identity, both published by Routledge, and most recently the co-edited volume Fight the Power! The Spike Lee Reader.